Managing work at height follows a hierarchy of controls – avoid, prevent, arrest – which begins with the question – can the work be done safely from the ground? During the construction of buildings and structures associated with infrastructure there are some tasks where it is impractical to provide a temporary guardrail system due to the position or short term nature of the operation and preventing operative’s from a fall from height means that they need to be protected with a personal protection equipment. The Work at Height hierarchy states that these operatives should be provided with the correct equipment top allow them to operate in Work restraint or Fall Restraint, as opposed to Fall Arrest. A Temporary Work Restraint System allows movement within a planned safe working zone. 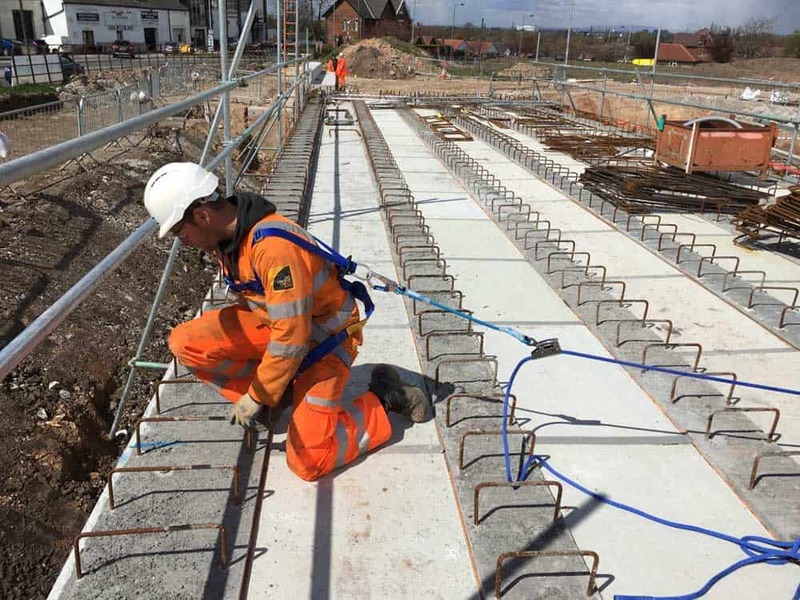 Anchor points are selected to provide the connection and tensioning of a horizontal lifeline onto which up to four operatives can connect Work Positioning Lanyards allowing them to access leading edges but restricting their movement beyond a safe distance from the fall hazard. 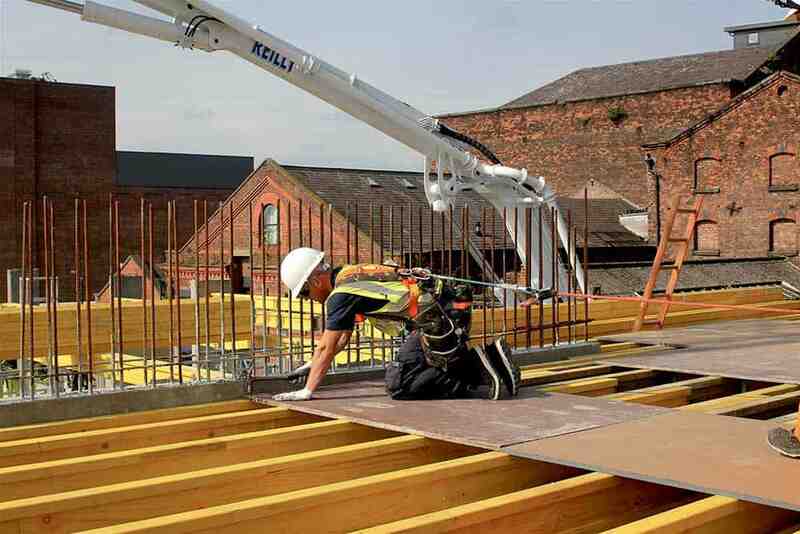 A properly planned Work Restraint System provides a high level of safety and creates an area where the user’s can operative in a safe working zone.